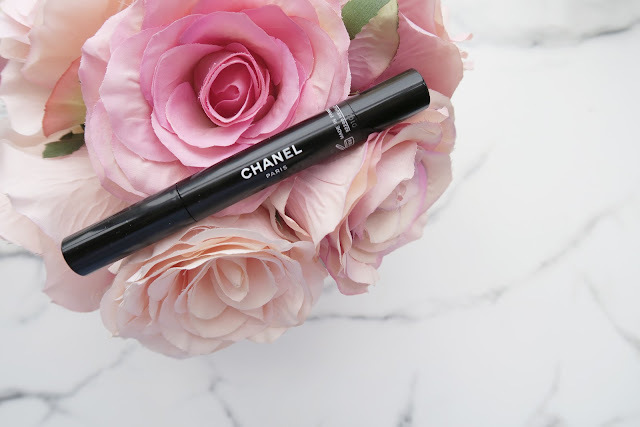 The Chanel Stylo is more than meets the eye. Touted as a product perfect for travel, not just because of its sleek, handbag friendly design, but also due to its easy application. 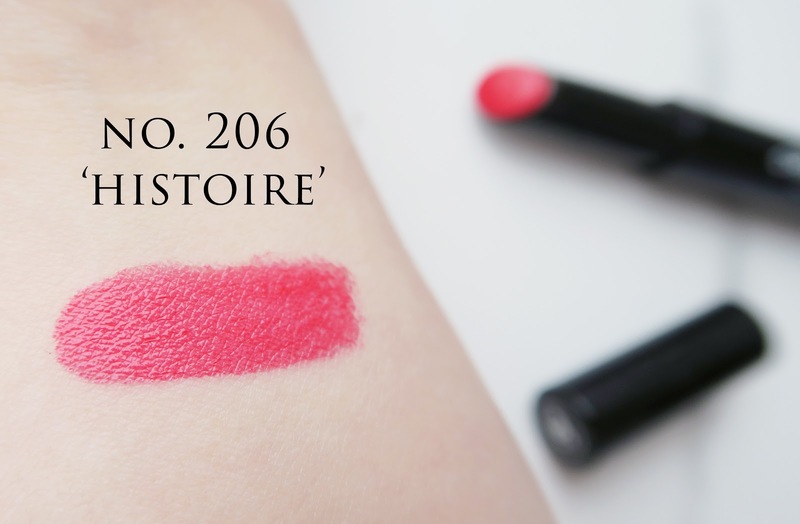 It's highly pigmented but without need for too much precision when applied. 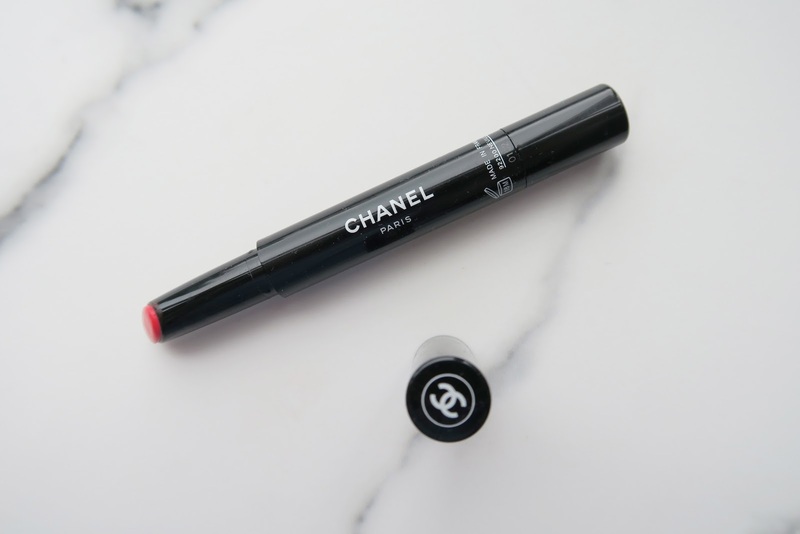 Ideal for mastering the bold lip look whilst on the go! The hybrid formula, contained in the elongated lipstick bullet, is said to be as intense in pigment as a lipstick, as shiny as a gloss and as comfortable to wear as balm. The packaging is classic and simple. It's very 'Chanel' albeit slightly less glamorous than the brand's standard gold-accented packaging. To use the product, you simply turn the base, much like a lipstick - but there's a twist (...that wasn't meant to be a pun I promise) when the base is turned, you'll hear a click. This click signals that the perfect amount of product has been pushed up and out of the plastic tube. Not only that, I've found it's also retractable. Meaning less wastage and no awkward squishing the lid onto the lipstick after an over enthusiastic twist. Win win! After a couple of weeks of use, I've become really fond of it. Often, a bright lip seems like quite a commitment - as well as being time consuming when you're in a rush. 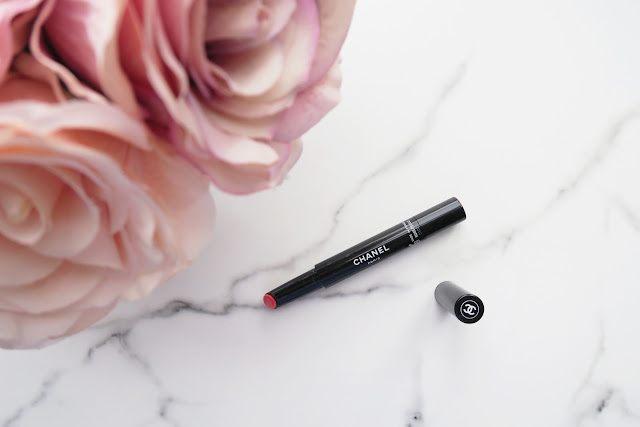 I don't usually give myself enough time to get ready in the morning and when I've been short on time but feeling in the mood for a bold lip, this has been my go-to product. Looks like a great product! I really love the colour. I just think they are way too expensive, makes me cry a little. Think I would rather just buy the lipstick, seem to be getting more of a staple with a lippy!